Eindhoven (Netherlands) (AFP) - German Chancellor Angela Merkel said Thursday fewer migrants were now reaching European shores, giving EU nations a chance to shore up plans to protect the continent's outer borders. 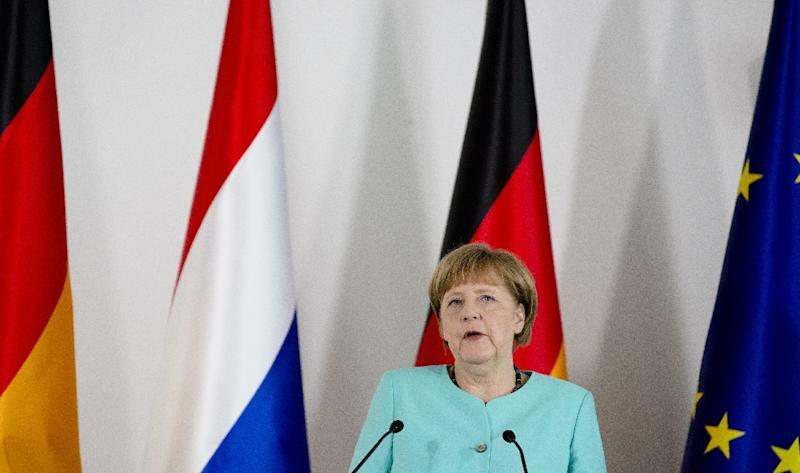 "Now that the number of refugees coming to Europe has lessened, we have an opportunity to find together a European solution," Merkel said after talks with Dutch Prime Minister Mark Rutte. Merkel and top EU officials will visit an area near the Turkish-Syrian border at the weekend to follow up on a deal aiming to stem the migrant crisis. Europe is struggling to deal with its worst refugee crisis since World War II, with a million migrants having arrived on its shores last year. Many of them are fleeing conflicts in the Middle East, but many are also economic migrants seeking a better life. The European Union sealed a deal with Ankara last month under which Turkey takes back all "irregular migrants" who arrive in the Greek islands in exchange for billions of euros in aid for refugees and political concessions. Merkel warned it was of utmost importance to ensure there was a European effort to reach "a controlled, legal migration with our neighbours." "Either Europe protects its outer borders, or we will be taking a bitter step backwards," Merkel said, after spending the day in the Dutch town of Eindhoven. Germany's liberal refugee policy last year ushered in 1.1 million asylum-seekers from Syria, Iraq and elsewhere. "We are seeing influx numbers going down. It's too early to draw conclusions, but the first signals are positive," Rutte told reporters at their joint press conference. Merkel will also hold talks in Hanover on Monday with US President Barack Obama and French President Francois Hollande, as well as the British and Italian prime ministers, David Cameron and Matteo Renzi. Migration will be among the topics discussed at the talks to be hosted Merkel. In a bid to deter the people smugglers ferrying people across the seas on perilous journeys to Europe, NATO deployed ships and helicopters in Turkish and Greek territorial waters in early March. 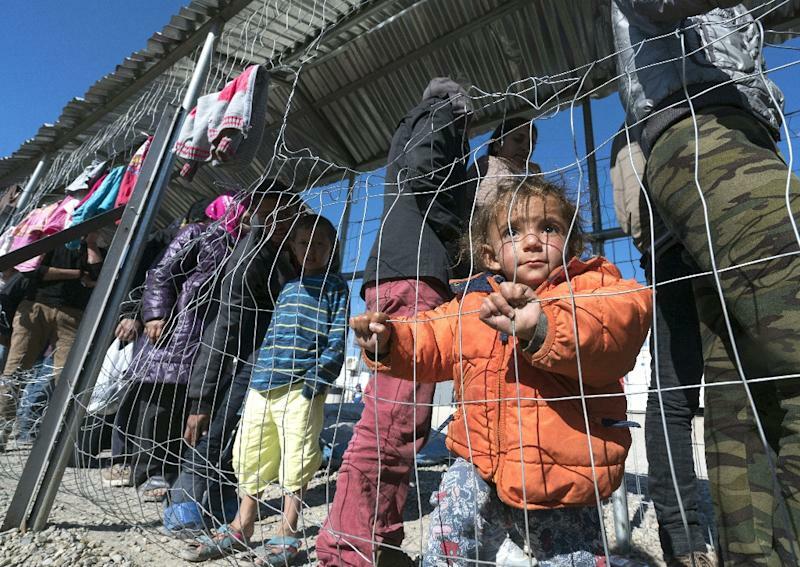 NATO said Thursday it had no plans to wind up the mission to stop migrant traffickers in the Aegean Sea, even though there had been a reduction in the numbers of migrants, and warned smugglers were changing routes very quickly.